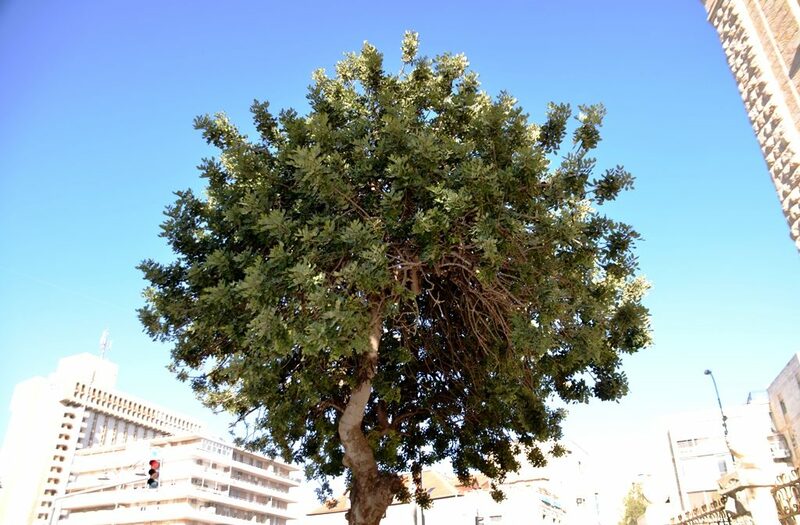 The first thing to know is that amygdalus communis is the scientific name for the almond tree. With Tu B’Shvat, the song of “almond trees bursting out” (or flowering) can be heard throughout Israel in school classrooms sung by small children wearing floral wreaths on their heads. Every year when I review and remember past celebrations of Tu B’Shevat, I stress over how to spell ט”ו בשבט in English. I have found 8 options and already used two here. Every year I want to bring to you something new and interesting. Dried fruit and nuts fill the stores and markets as every year. 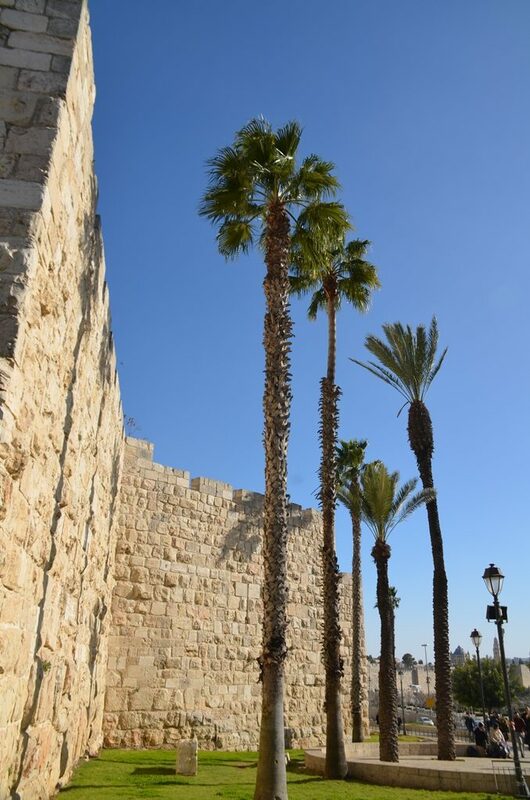 Carob trees tower over many Jerusalem, Israel streets. This tree is near the Prime Minister’s Residence. I wonder how many of the thousands protesting there noticed it? For those of us who grew up in the US, Tu B’Shvat meant getting a piece of dark brown, dried out bokser. Hard to chew and unattractive, why would anyone want to eat it to celebrate the holiday? Along Jerusalem streets in time for Tu B’Shvat, there are piles of dried pods fallen from the trees, with new growth peaking its way through. 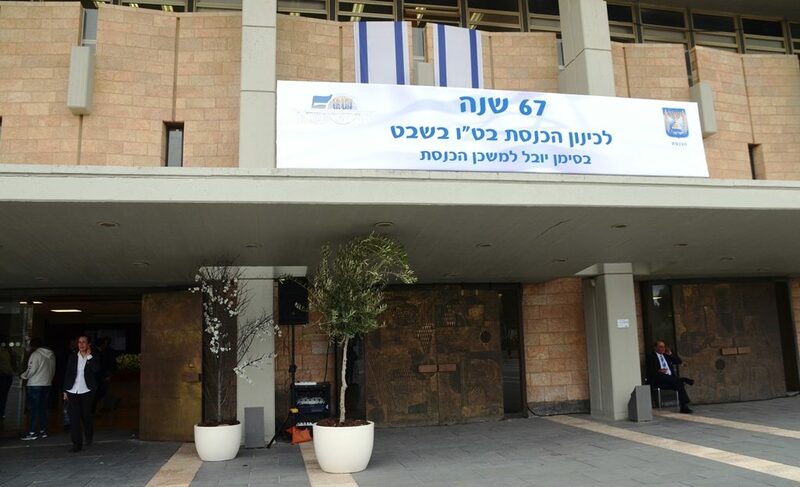 The Knesset opening and birthday are held on Tu B’Shvat. In honor of 50 years in its present location, in 2016 a major celebration was held. 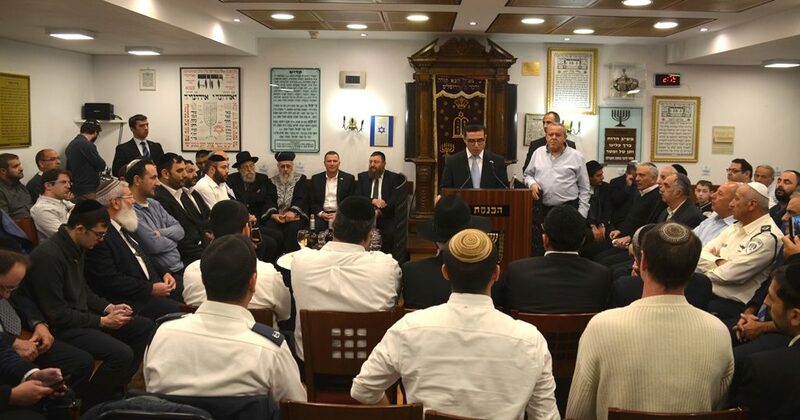 There was a special afternoon service in the old Knesset Synagogue followed by wine and fruit. 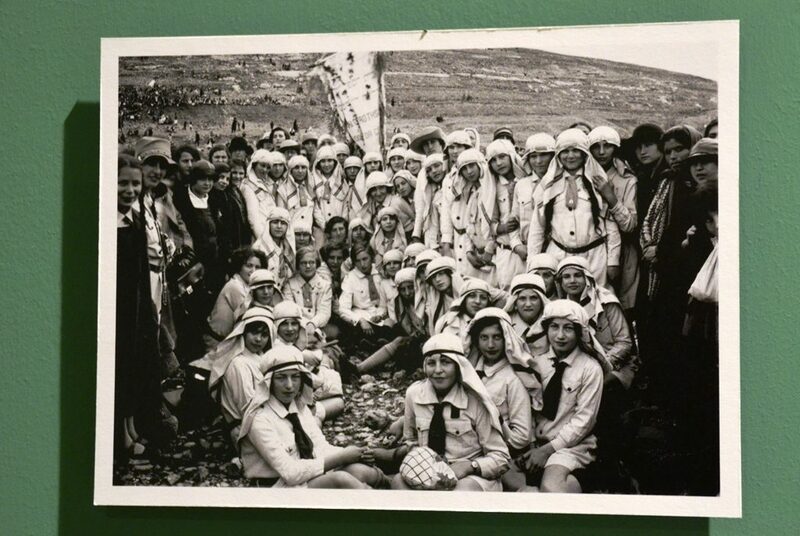 These Girl Guides were celebrating Tu B’Shvat in Jerusalem in 1928, on an outing in Beit Hakerem. 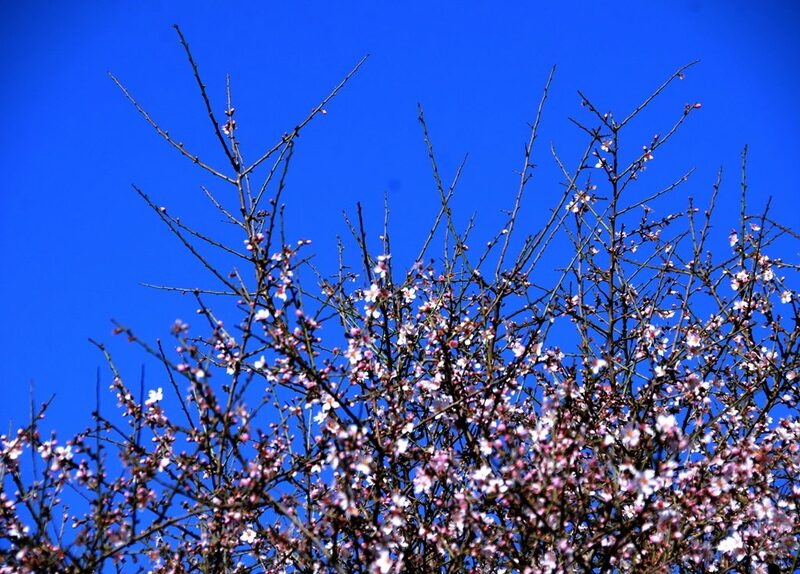 Since Biblical times almonds, amygdalus communis, have been a sign of spring, a sign of new life and God’s promise. 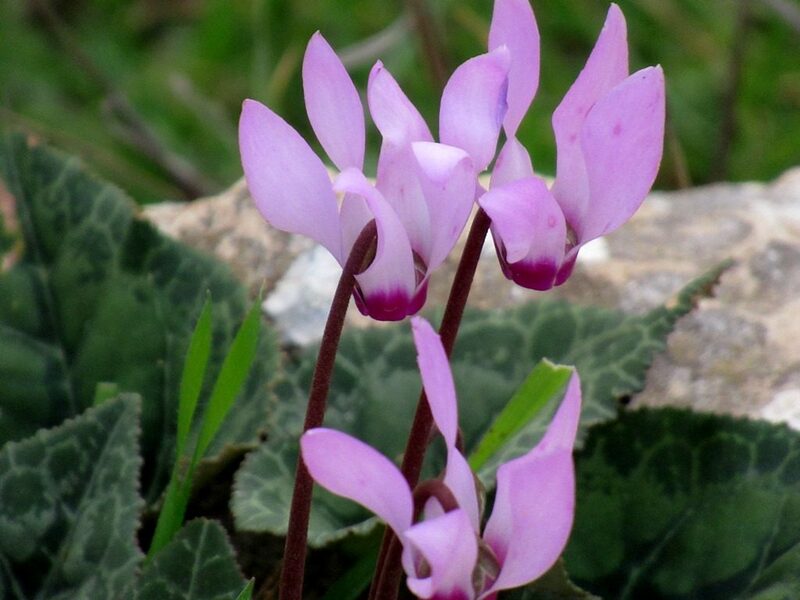 Anyone interested in the nature and the environment of Israel, with the special emphasis given to the linkage between the plants and Jewish traditions and literature, will appreciate the Hebrew website Wildflowers of Israel. In addition, their English pages have a wealth of information. Hours of dedicated work have gone into research and photography devoted to the study of wild plants of the Land of Israel, a point of interest for people all over the world since Biblical times. In spite of Israel’s small size it has 2,500 plant species. There are about 100 plants mentioned in the Bible, and about 400 mentioned in the Mishnah and the Talmud. Thanks to Sara Gold, my contact whenever I need information on a flower or plant. (I know next to nothing about Israeli flora and fauna.) Who knew aloe plants flowered? In honor of Tu B’Shvat – I searched for the almond – Amygdalus Communis. I searched in the Valley of Cross on the path to the Israel Museum, and there were no almonds bursting forth, but I did find these first flowers in bloom. 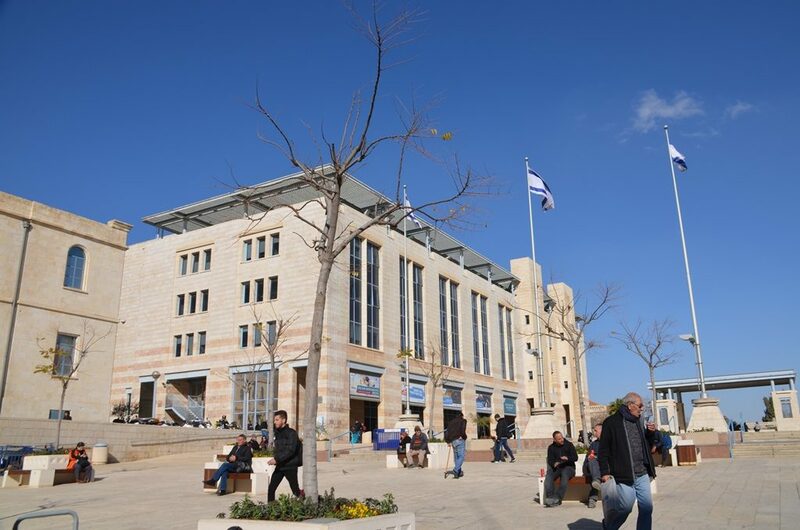 I went to see what new trees were planted in Kikar Safra, Safra Square. Thankfully some tall palm trees survived last year’s infestation and are standing tall. 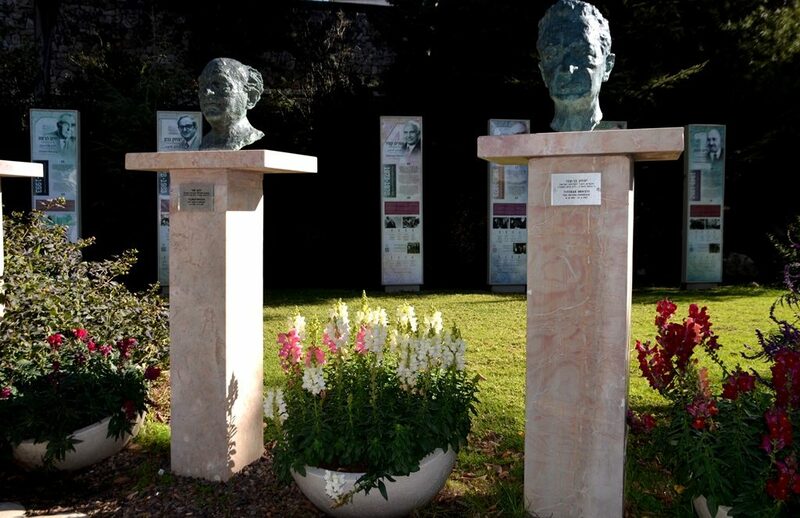 I searched the gardens at Beit Hanasi, the Israeli President’s residence, and there were no almonds bursting forth, but these new potted flowers were enjoying the morning sun. 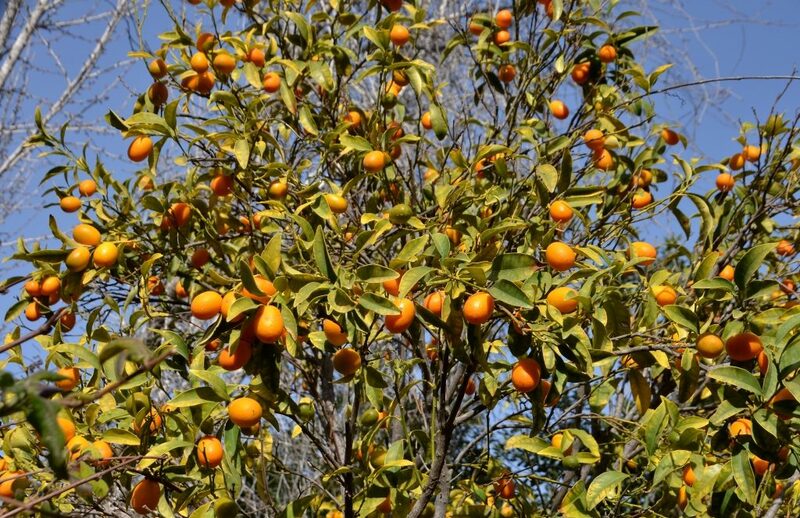 In the Beit Hanasi gardens there are 60 olive trees, a line of kumquat trees ripe with fruit, but not one almond tree. 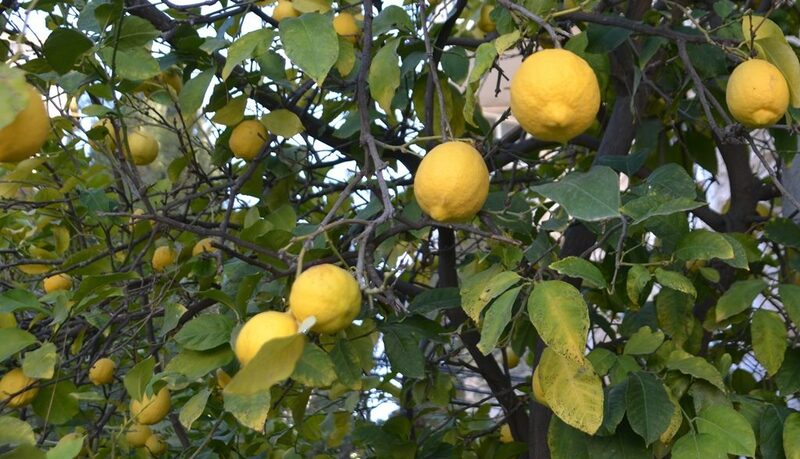 Our lemon tree is full of ripe fruit too. In my search this year, I found no almond blossoms in Jerusalem. It is still too early. They really do seem to burst out when they appear. So it seems as of now, the best place to search and find those bursting Amygdalus Communis is Wildflowers of Israel – HERE. 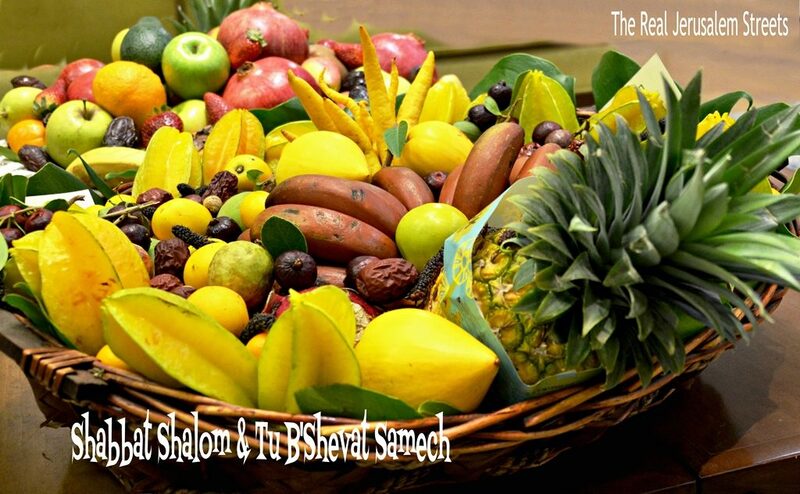 Tu B’Shvat is to be celebrated beginning the night of January 20, and on January 21. 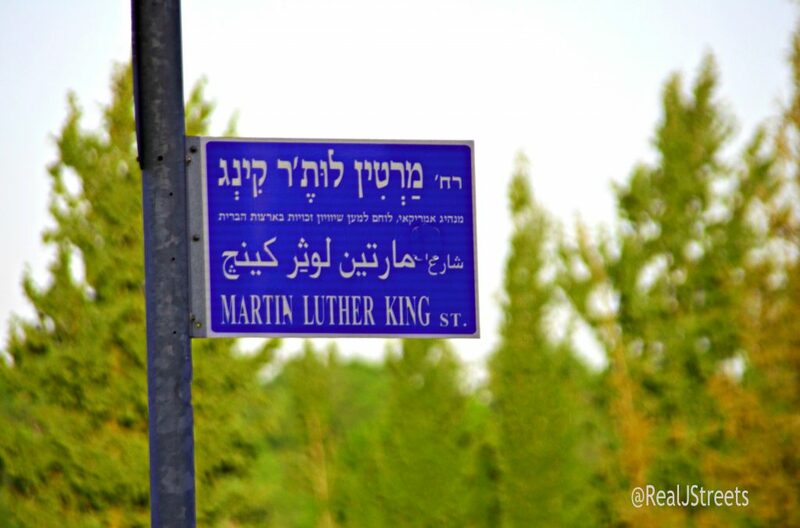 In honor of Martin Luther King Jr. Day, falling the same day this year, here is a new photo of the Jerusalem street sign with trees in distance. 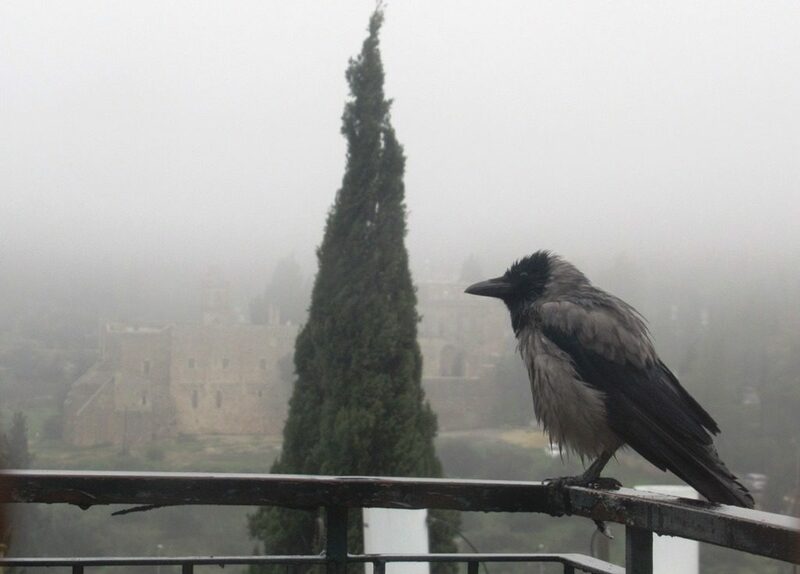 Snow is in the forecast for Jerusalem. Rain has started to fall. After sunny morning weather, this photo is again appropriate. Jerusalem weather and politics are hard to predict. Both can change quickly. When snow started coming down, I grabbed phone and ran outside. This was best photo of predicted snow storm, to see real snow, back to 2015 HERE. But greetings of a happy Tu B’Shvat and Shabbat Shalom, are good to be repeated every year. 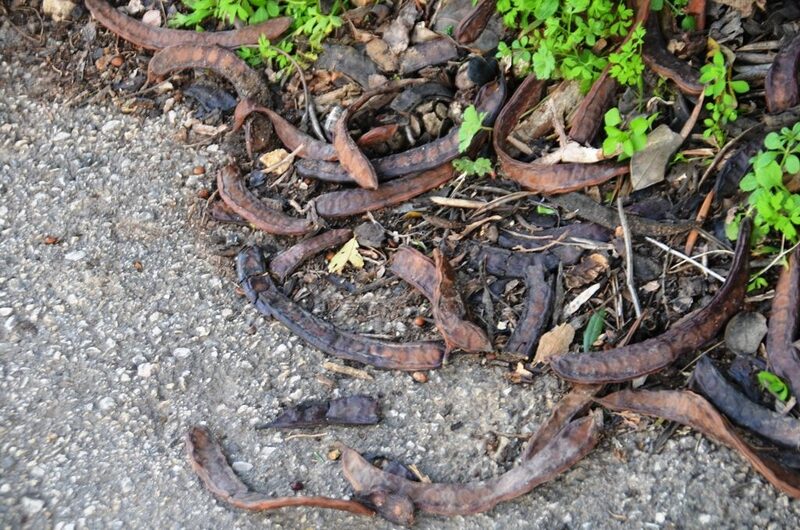 My memories of Tu b’Shvat in America were of that hard, dry carob “bukser” we were given to eat in school every year. But I’d like to say, in its defense, that when eaten fresh off the tree it can be moist and flavorful. A different fruit entirely! Will have to try to find some fresh next time! I love getting the Tu b’Shvat forecast here on your site!! We don’t have almond blossom trees, but we do have the season now for flowering plum trees and knowing the season on the Hebrew calendar it is very exciting to go on a search for fruit and blossoms in this special time!! Love the scriptures you shared about the flowering staff and almond trees, and the significance of fruits and flowers in the scriptures. Blessings and Happy Tu b’Shvat ! Thank you. I updated this post with my only photo from “snow storm” and linked to last really serious snow in Jerusalem. 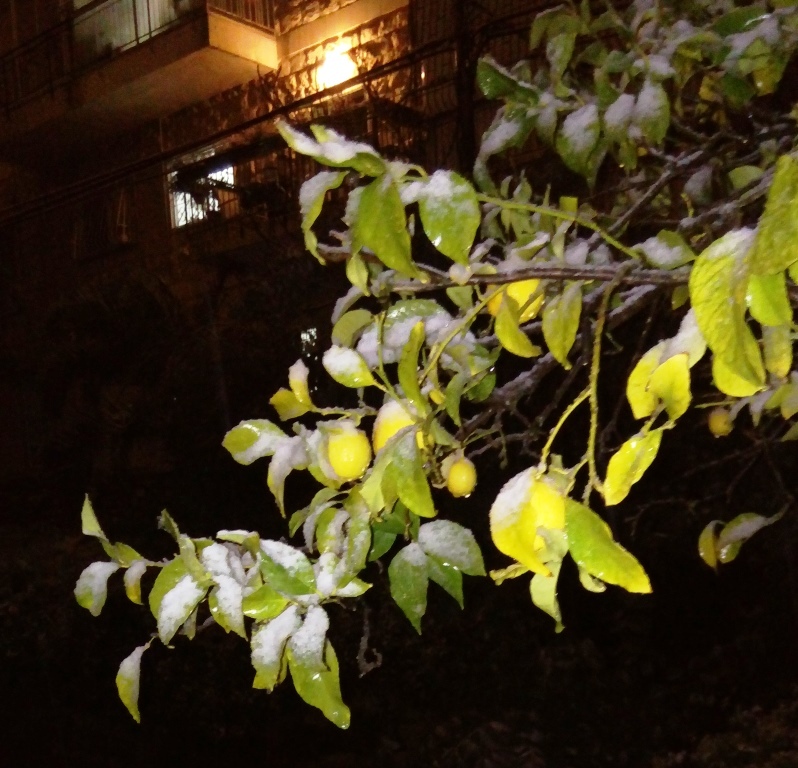 People love to see snow in Jerusalem photos, maybe more than flowering tree photos. Hope you appreciated link to Wildflowers of Israel, a valuable source of information and inspiration.